FAO Calico - Please note that we have retired and closed the business at the end of March 2019, and therefore deleting this site. We will leave the domain name with you meantime in case we sell the house and someone else reopens the business. Thanks for everything. Situated at the western side of Inverness HEBRIDES GUEST HOUSE is within easy reach of the city centre and all the best amenities the capital of the Highlands has to offer. 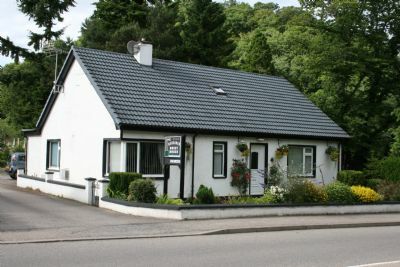 Offering cosy, comfortable rooms, hearty, healthy breakfasts and the best in Highland hospitality, look no further. and many more in the surrounding area, including Loch Ness within easy reach. We are only yards from the Great Glen Way , a challenging waymarked 79 mile (127km) walking route from Fort William in the South West to Inverness in the North East.